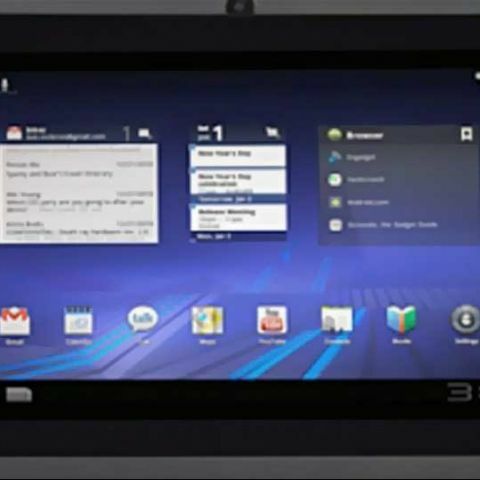 Zen Mobile has announced the launch of an Android 4.0.3 Ice Cream Sandwich-based tablet called Ultra Tab A100. The tablet has been priced at Rs. 6,199, though it's available via online stores such as HomeShop for Rs. 5,999. The new Zen tablet features a 7-inch touch display with 800x480 pixels resolution. The Zen Ultra Tab A100 is powered by a 1.2GHz processor. Other features of the device includes 512MB of RAM, 4GB of built-in storage, microSD card slot that supports up to another 32GB, 1.3 MP front camera (digital zoom) and 2,800 mAh battery. The Zen Ultra Tab comes with the power key and ports on the top for convenience. Also, the device comes pre-loaded with apps like iBrowser, mBollywood, India newspaper, mig33, Paytm and others. Users can also download more apps from Google Play store. For connectivity the device supports Wi-Fi and 3G. Zen Mobile has also entered into a partnership with data value added service provider DigiVive to provide mobile TV services – nexGTv - on the UltraTab A100. The nexGTv service, available for free, features over 100 live channels, Video-on-Demand and Live TV. With the launch of Ultra Tab, Zen Mobile has followed in the footsteps of the likes of Karbonn Mobiles and Micromax – the Indian mobile manufacturers to foray into the country's tablet market. Micromax has launched its Funbook budget tablet featuring the latest Android version, ICS. Karbonn has launched its ICS-based Smart Tab 1 tablet. Karbonn is reportedly planning to launch an Android 4.1 Jelly Bean-based tablet this year. The Indian market is currently flooded with the budget tablets. Zync, WickedLeak and WishTel are some of the popular names in the budget tablet market today. To know more, check out our Top 10 Budget Tablets list. Which is better an android TAB or a Windows TAB? Which is more better An android Tab or An windows Tab?